Emails take too long. 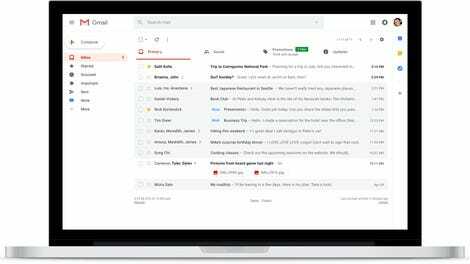 Well, at least according to Google, which is why on Tuesday at Google I/O, the company announced a new Gmail feature called Smart Compose. The feature allows for artificial intelligence to auto-fill information in the emails you compose in an effort to cut down on the time spent typing up mindless messages. If typing emails is truly one of the bane’s of your day-to-day existence, this feature is here to alleviate that stress. 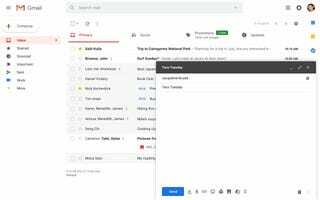 Smart Compose builds on the Smart Reply feature that Google added to Gmail’s mobile app last year, which would offer three context-appropriate responses to emails. Smart Compose takes that to another level by potentially allowing one to write full emails and thoughts right alongside AI-assisted phrasing instead of just deferring to single choices being offered up. To use Smart Compose, you’ll simply hit the tab button to add the auto-fill text to your message, which appears automatically as you type. Personally much of the hassle I experience with emails doesn’t start with composition but rather the internal debate over whether to respond to certain emails or even whether to open them at all. Does Smart Compose help with the existential dread of answering an email at 8:53pm on a Tuesday night or wonder how fast is too fast to reply to an email over the weekend? Perhaps by next Google I/O, its AI will be able to address that problem.